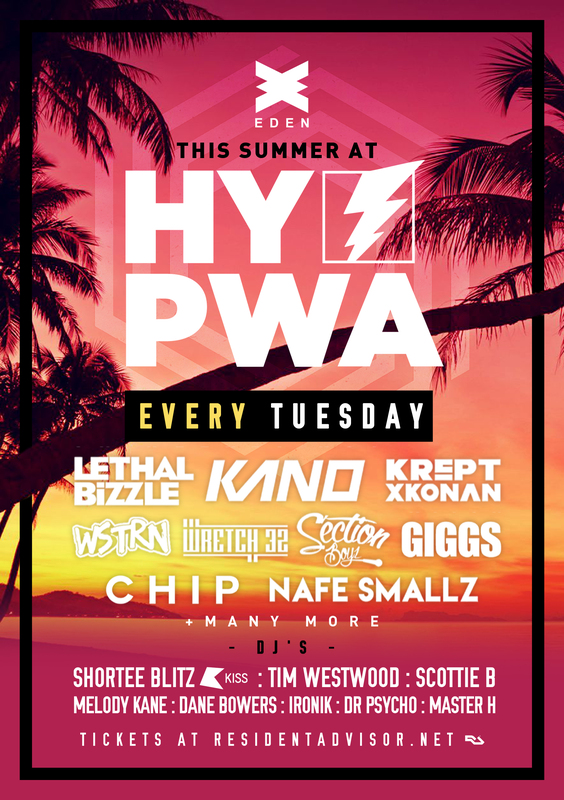 Every Tuesday, HY-PWA brings a diverse range of urban beats to Eden. Hosted by DJ Shortee Blitz, expect to get down on the dance floor to the finest garage, reggae, hip-hop and R&B beats. With its unmistakable energy and stellar headline DJs and live acts, this night has become a firm favourite on the island.